It will take Apple's Android competitors up to two and a half years to replicate the functionality and user experience of the TrueDepth Camera in the iPhone X, KGI Securities analyst Ming-Chi Kuo told investors in a note shared this morning. In a previous report, Kuo predicted it would take one to two years for competitors to catch up, but having watched Apple's official technical demonstrations in detail, it's now believed it will take longer to replicate the user experience. The TrueDepth camera will give Apple a solid technological lead throughout 2018 and 2019, leading Kuo to say KGI has "full confidence" in the iPhone's growth prospects in the high-end smartphone market over the next couple of years despite iPhone X constraints in 2017. KGI Securities has revised its 2017 iPhone X shipping estimates from 40 million to 30 to 35 million units, but Kuo says the firm stands by its "positive outlook" on shipments of future iPhones equipped with the TrueDepth Camera. 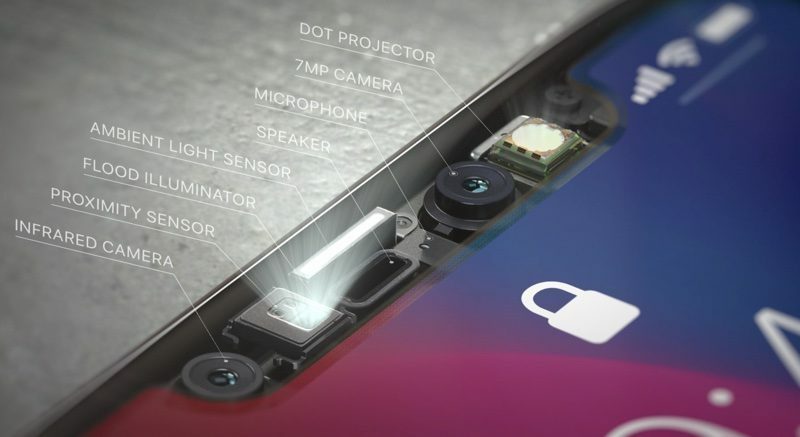 Apple's TrueDepth camera system enables its Face ID facial recognition system and other features like advanced face tracking and analysis for Animoji. Rumors suggest the difficulty of manufacturing the TrueDepth camera is what has led to significant iPhone X production issues, severely limiting initial available supply. Apple's competitors like Samsung and Google will also need to overcome these development and manufacturing hurdles to create a product that's similar to the TrueDepth Camera. Samsung has already released a device with facial recognition capabilities, but it is inferior to Apple's solution as it is limited to 2D tracking making it less secure and easy to fool. Ming-Chi Kuo previously said that should Apple's TrueDepth camera prove to be popular with consumers, all of the company's future iPhones are likely to adopt the feature. Apple is setting the stage for the next decade of what people expect from smartphones. Much like the original iPhone launch, it took android years to catch up and make truly competitive products. No surprise it is happening again. Apple is/was years ahead in all these categories. They have set a tremendous foundation. I am wondering if Mr Kuo isn't paid by Apple..
true, if Apple was able to implement the sensor under the screen, FaceID doesn't exist. They'll scrap FaceID once they get it working. False. Craig Federighi stated they experimented with Touch ID under the display as a Plan B option, but abandoned the project once Face ID was working as intended. The idea that Face ID was rushed due to Touch ID under the Display was not true. Touch ID is not coming back. Face ID is Apples future. and those fandroids said apple copied facial(photo) recognition from android 4.0 ?? I wonder where he gets his time stamps. I can say Samsung's Iris scanner gives it a infinite year lead over Apple especially since Apple will never use it. He really should not talk. It’s not even close to the same thing. Samsung’s iris scanner is another half assed attempt that gets fooled by something as simple as picture. also used for damage control. Just like 64 bit SOC, Fingerprint TouchID, and now this 3D facial razmataaz... Apple has done it again. Usability of Iris scanner is inferior to Face ID.